Desert climbing season is in full swing! 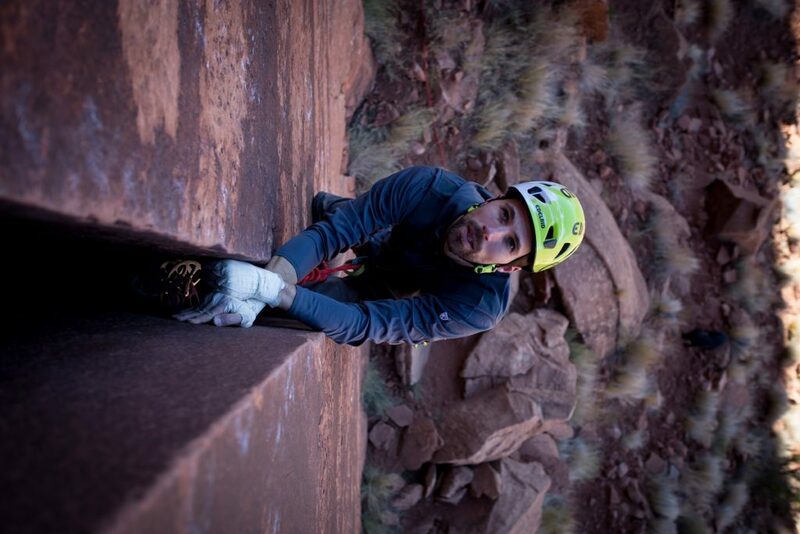 World renowned, the Utah desert offers a climbing experience unlike any other. Unique, time-worn geological formations give way to incredible towers. Beautiful cliff faces are split by perfectly parallel cracks often hundreds of feet tall. These formations make places like Indian Creek, Zion National Park, Canyonlands National Park and the San Rafael Swell a Mecca for climbers. 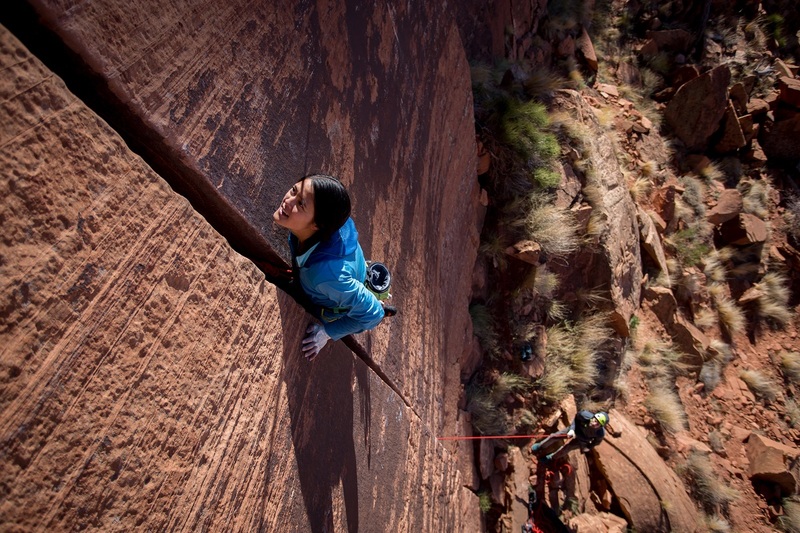 Every year, as temperatures drop, climbers from near and far flock to the desert in search of sandstone and perfect splitter cracks. 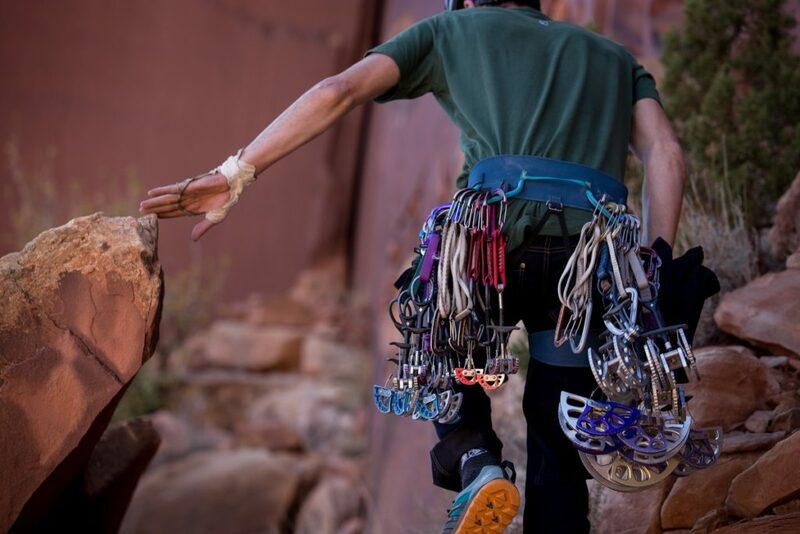 To enjoy the unique desert crack climbing experience, you’ll need an ample trad rack, several rolls of athletic tape, and an above average pain tolerance. 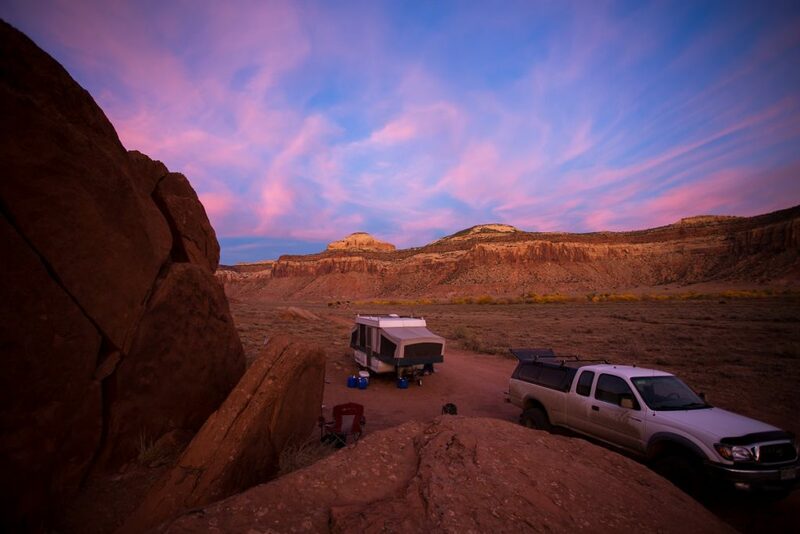 Don’t forget a well stocked water supply, warm clothing for crazy day-to-night temperature swings, and a few essential rules for climbing in the fragile desert ecosystem. Hydration is just as important in winter as it is in warmer seasons, but we’re often tricked into thinking we aren’t losing fluids as rapidly. Our bodies don’t get as hot in cooler temperatures, and sweat evaporates more rapidly in cold, dry air. Additionally, our body’s thirst response is diminished to conserve heat and energy, so we don’t feel thirsty. Even wearing extra layers contributes to dehydration. Insulating layers keep us warm, but the added weight makes our bodies work harder to keep our temperature regulated. Drink early and often to stay ahead of dehydration. Wearing layers allows you to make quick adjustments as your activities – and the temperatures – change. Start with a base layer like the KÜHL SKAR CREW to wick moisture away from your skin. In winter, staying dry helps you avoid hypothermia. Don’t choose an all cotton garment for your base layer; cotton retains perspiration and will leave you chilled. Instead, select a base layer made from a synthetic fabric like polyester or from a natural fabric like merino wool. Wool is naturally wicking and odor resistant, making it one of nature’s ideal performance materials. Wear an insulating mid layer to trap air close to your body and retain heat. Natural fabrics like merino wool and goose down make excellent insulators. For dry and cold conditions, down sweaters like the KÜHL SPYFIRE® SERIES provide superior warmth-to-weight ratios and are highly compressible. Just remember: down must stay dry to maintain its insulating properties. Fleece is lightweight, breathable and insulating even when wet. Fleece dries faster than down, but it’s not as compressible or wind resistant. The KÜHL MEN’S INTERCEPTR SERIES and WOMEN’S ADRIANA 1/2 ZIP are great options for insulating mid layers. 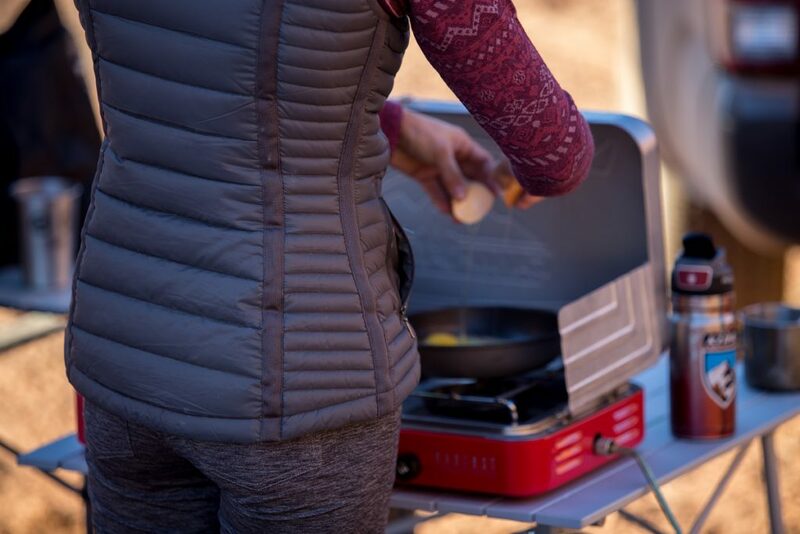 Layer the KÜHL ADRIANA 1/2 ZIP with the insulating SPYFIRE VEST to stay warm at the campsite. Outer layers protect you from wind, rain or snow. 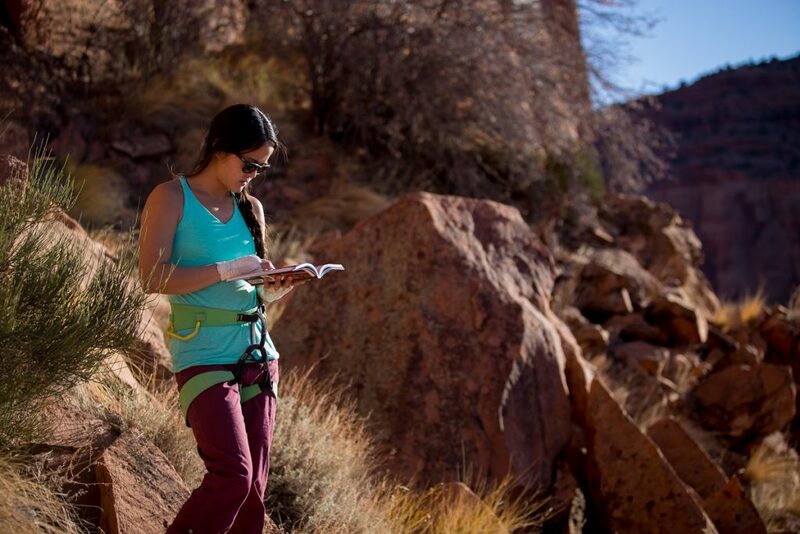 For desert climbing, your insulating layer often doubles as your outer layer. For windy conditions, add a lightweight, wind resistant outer layer. Remember, as the number of climbers visiting the desert grows, it’s important to have an understanding of our impact on sensitive ecosystems. Enjoy the desert’s beauty while minimizing your impact. A single step can destroy the fragile cryptobiotic soil that forms the foundation of high desert plant life. This dark, crumbly looking soil is a living biological crust that draws nutrients into the soil while protecting it from wind and rain erosion. Impacted areas may never fully recover. Even under the best circumstances, it takes five to seven years for a thin veneer of cryptobiotic soil to return. 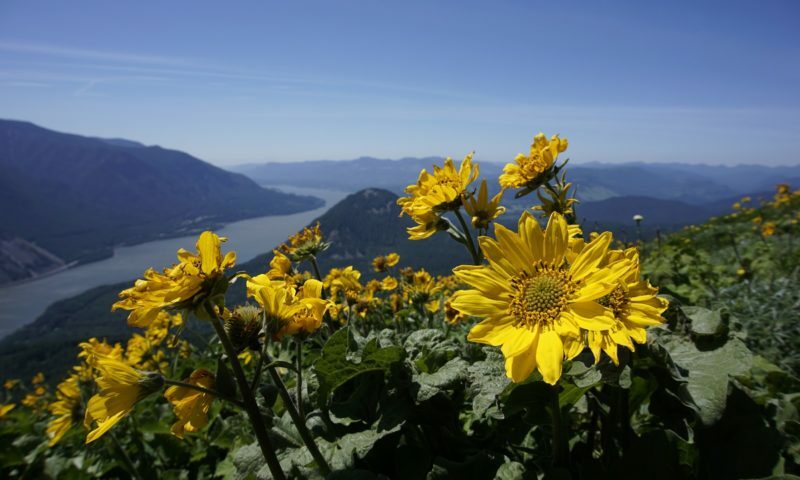 It can take up to 50 years or longer to recover the lost soil nutrients. Desert plants are also highly sensitive. Pay careful attention to pad placement and avoid gear sprawl to help protect these special plants. It goes without saying that you should pack out your trash, but you might not realize you need to pack out everything in the desert, including human waste. Digging a cathole simply won’t work! Desert soil lacks the microorganisms to degrade human waste, so use facilities or plan to pack it out. Take pictures, but please don’t touch! Not only is it a federal crime to steal or deface artifacts, but the oils on our skin, the chalk on our hands, and even the rubber on our shoes can also ruin these precious sites. 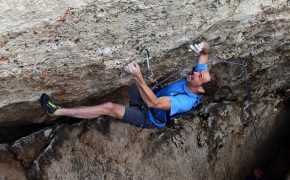 Climbing on wet sandstone can damage the rock and cause gear placements to fail. Always wait 24-48 hours after heavy rain to climb on sandstone. 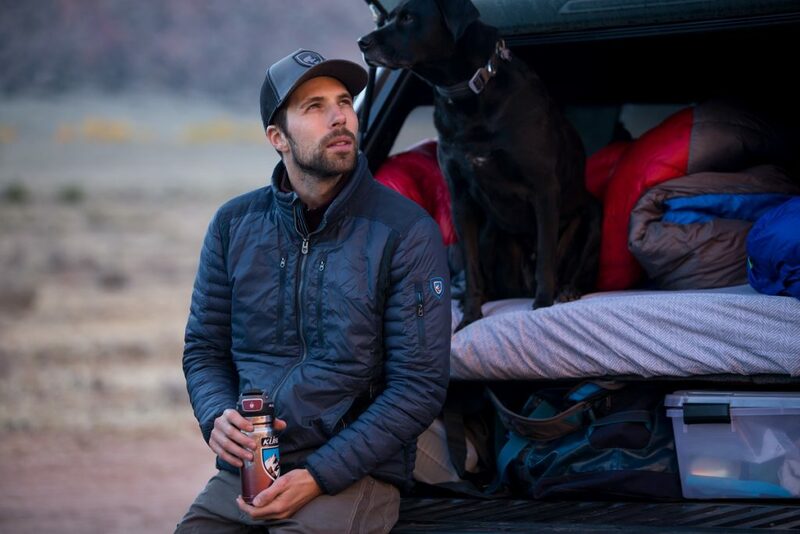 Climber, photographer and occasional van dweller, Anthony Johnson can often be found exploring the country on climbing road trips with his wife Kristina and their dog Violet. Follow Anthonoy on Instagram @agjohnsphotography.